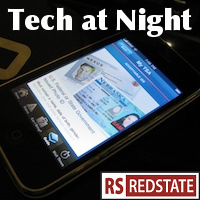 Tech at Night: Late again, but let’s talk about Tor and Edward Snowden some more. I know, it’s two weeks in a row the Friday tech got pushed the the weekend. Sorry. The war on Tor crime continues as the Silk Road arrests go on and on and on. Next up, find the killers for hire? Oh look, Edward Snowden and the Glenns Greenwald are in cahoots again. Even as the new push is on to claim he gave no data to the Chinese and Russians. I guess he needs that cover to try to get asylum? Did CIA blow it on Snowden? It’s good to see the tough questions being asked about Obamaphone by Marsha Blackburn, ones that will put the Obama FCC on the spot. Do not track will never succeed voluntarily. Technical solutions must be found. Of course, that will not satisfy some, because some will want to keep their Google, Facebook, etc. logins and still somehow be private. NSA recognizes the threat, as efforts are ongoing to attack the critical defense agency, so they’re now making the case that NSA is critical to cybersecurity, which is kind of their mandate, yes. That said, a small amount of FISA transparency would be good. Just release the numbers, or at least let firms that want to release the numbers related to them. These kind of aggregated figures pose no threat to our security, but will let the people make intelligent policy decisions. That’s reasonable.